A healthy version of samosas which are baked and made with whole wheat flour. I sometimes make these baked samosas when we want to have a healthy recipe of samosa with tea. When baked do not taste like their fried counterparts. of course, goes without saying the fried ones are always tasty. but at times you want something light for the heart as well as for the stomach, especially with the most loved Indian snacks. for now, I only prepare samosas in the oven. To make the dough, combine the flour, baking powder, and a good pinch of salt in a large bowl. Use your fingers to rub in 120ml of oil until the mixture resembles breadcrumbs. Stir in 150ml of cold water, then bring it together with your hands into a rough dough, adding a splash more water, if needed. Place in a flour-dusted bowl, cover with a damp tea towel and leave to rest for 30 minutes before rolling and filling. 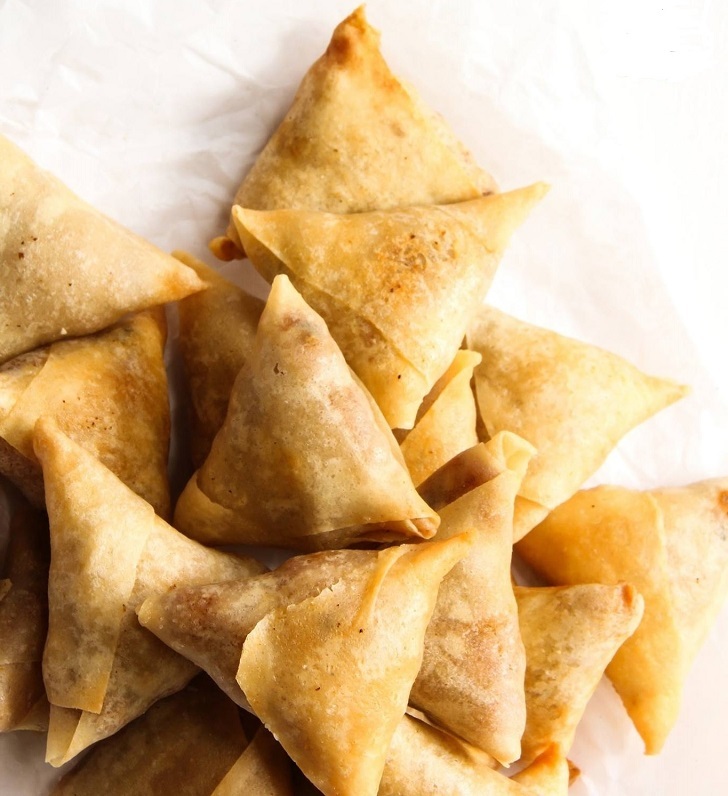 Once filled, put samosas in the preheated oven at 180ºC on a lightly greased baking tray. Bake for approx. 45 minutes, or until golden brown and piping hot through.